We are a leading Manufacturer of two beam interference, nodal slide assembly, fabry perot interferometer, optical bench, spectrometer appratus and opto electronics charterstics appratus from Ambala, India. Owing to our state-of-the-art infrastructure facility, we have been able to manufacture and supply Two Beam Interference. At our end, the offered interference is designed with the aid of modern machinery and cutting-edge technology that is installed at our infrastructure facility. Owing to our transportation facility, we have been able to dispatch the offered range on-time. Innovation is our forte and we are engaged in manufacturing and supplying Nodal Slide Assembly. Under the guidance of our expert professionals, who are well-versed in this domain, we manufacture these products. Additionally, the offered assembly is dispatched in stipulated time-frame. Gained prominence in the industry as a leading manufacturer and supplier, we are engaged in offering Fabry Perot Interferometer. 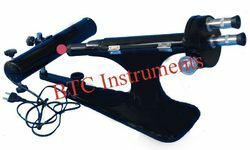 Employing cutting-edge machinery and technology, the offered interferometer is developed in accordance with the guidelines laid in the industry. 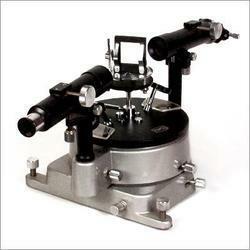 Besides, used for various industrial purposes, we are offering this interferometer in different specifications. 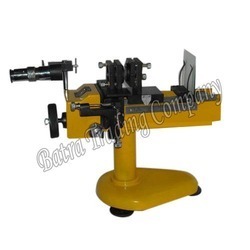 We are renowned manufacturer, trader and supplier of supreme quality Optical Bench. The offered bench is used for testing laboratory purposes. This bench is manufactured with the help of premium quality components and the latest techniques under the visionary direction of skilled professionals. 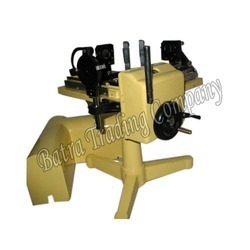 Our offered bench is rigorously tested on various parameters by our quality controllers. Clients can avail this bench from us at the most reasonable rates. The Spectrometer Appratus consists of a telescope and a collimator mounted on a stable heavy C. I. base with three levelling screws. The protected 150 mm (6") or 175 mm (7)" scale divided into 0-360 degrees in steps of half degrees can be read from both scales & moves along with the telescope to give its exact position. It gives accuracy of one minute of an arc or 30 seconds of an arc. Telescope is having an achromatic objective of 7" focal length and a Ramsden Eye Piece with a cross line graticule . The collimator is also fitted with 7" objective & adjustable precision vertical slit with jaws of non rusting metal. Both the telescope & collimator are having fine rack & pinion motion. 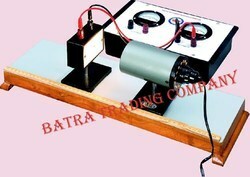 In the centre of the table there is a prism table for clamping of prism or diffraction grating . Packed in a sturdy wooden box with instruction manual & duster. 3. chartertisc of Photo Diode. 4. chartertisc of Photo transitor. 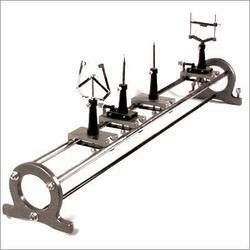 To suit the demands of customers in efficient manner, we are engaged in offering Michelson Interferometer Two Way Motion. The offered interferometer is manufactured using high-grade materials that are sourced from authentic vendors of the industry. Also, we have a spacious warehouse facility, which enabled us to store products efficiently. 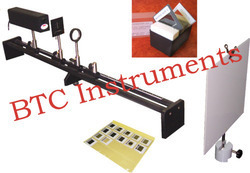 Looking for Optical Lab Instruments ?